Supplies are Limited. Advantage Gold reserves the right to refuse delivery of any book at anytime. Must have a qualified retirement account. This is literally one of the most valuable pieces of financial literature ever written. 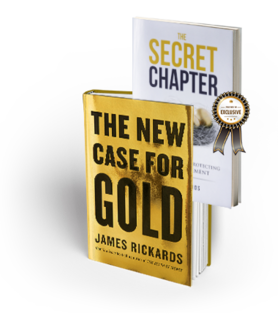 Two-time New York Times Best-Selling Author James Rickards just released his highly anticipated book called The New Case For Gold. Inside Jim releases a warning to baby boomers about the magnitude of what's to come. Reading this book and bonus secret chapter could be one of the best decisions of your life, because what happened in 2008 is going to happen again and be a whole lot worse. It's more important now than ever to protect your retirement! How to effortlessly employ a strategy, that will protect you when the market goes, up, down, sideways, or CRASHES! How to protect your money against risk of inflation and safeguard against retirement account volatility tied to the markets. 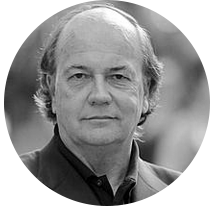 James Rickards is one of the most sought after financial experts in the country. Not to mention he was the man who predicted the terrorist attacks in England, negotiated the bailout that saved the global financial system, and is a trusted Pentagon financial warfare advisor who provides international economic counsel to twelve different government agencies including the CIA and NSA. He’s also regarded as the foremost expert and evangelist for gold on the planet.